The Law Offices of Lance T. Marshall is a State College law firm providing highly experienced criminal defense representation and diligent family law advocacy. 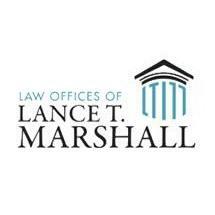 Founding attorney Lance T. Marshall graduated with his J.D. from Dickinson School of Law at Pennsylvania State University in 1995. Over the past 20 years, he has established himself as a respected trial lawyer and a vigorous champion on behalf of his clients' legal rights and interests. For 10 years, Mr. Marshall worked as a prosecuting attorney in Centre County. He has also served as a judicial law clerk and a public defender over the course of his career. His comprehensive, multifaceted knowledge of the criminal justice system in Pennsylvania gives him the ability to view a client's case from all angles and develop a tailored defense strategy. His knowledge is particularly beneficial to Penn State students facing criminal charges, allowing him to fight not only for their immediate freedom but for their futures. Call the Law Offices of Lance T. Marshall in State College to arrange a free initial consultation today. You can count on Mr. Marshall to provide an honest assessment of your options for protecting what matters most to you.